Choose from one of these Mom approved most durable backpacks for your student. Buy once and save year after year! 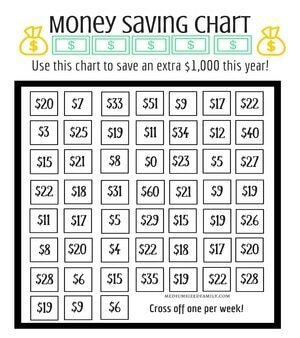 When my oldest was going into kindergarten, the explosion of ideas for doubling coupons and stockpiling free stuff was in its heyday. 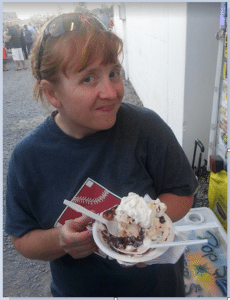 We had just switched houses and were still adjusting to losing my income (I had recently become a stay at home mom). So when I saw ads for free backpacks, I jumped at them! You could get a free backpack by spending $10 or $20 on other things. That was no problem! We needed groceries anyway. Sometimes these backpacks even had my son’s favorite characters on them! That made the deal even more exciting. Disappointed, I decided that next time I would get a couple of free backpacks so we could switch them out midyear when the first one failed. I’m not a quick learner. After talking to friends, I discovered that there were durable backpacks out there that would last for years and years. They even held up to roughhousing boys. We gave it a try. And boy was it worth it! Don’t make the mistakes I made! Cheaper is not better. The days of the free backpack seem to be gone. But even if they weren’t…do you really want all that hassle? The frugal way to buy a backpack (and most other things) is to get a deal on a good, quality brand that will stand the test of time. Our family favorites are listed here alongside recommendations I got from some fellow frugal moms. Even busy moms like to comparison shop, so I have added links to the direct companies (when I can) as well as Target and Amazon. Walmart offers many of these bags through third party sellers. It’s not usually a good idea to buy from a third party, because it’s hard to spot a fake online. Many companies offer free shipping, so you may be surprised by where you’ll find the best price! It’s important to keep in mind that some of the bags you find at places like Amazon are not backed with the full company guarantee. Also, sometimes the quality of the bag you find at mega stores isn’t as high (thus the cheaper price). Buyer beware! Probably better to buy direct if you can swing it. Let’s begin with my favorite company, Jansport. I bought a Jansport with my own money back in high school. Then I carried it all throughout college. 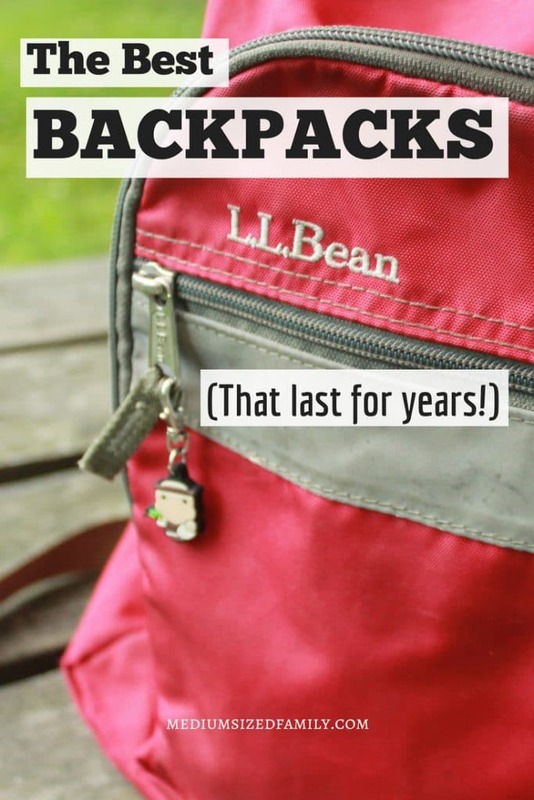 When our daughter was in kindergarten, I looked around for my old Jansport. But wouldn’t you know it, the zipper had busted. It would have to be ripped out and replaced. I assumed they’d repair it and send it back. But much to my surprise, they shipped a brand new backpack! You can’t beat a lifetime guarantee! You can buy direct from Jansport, and you’ll get free 3 day shipping! Shop Jansport at Amazon. Shop Jansport at Target. 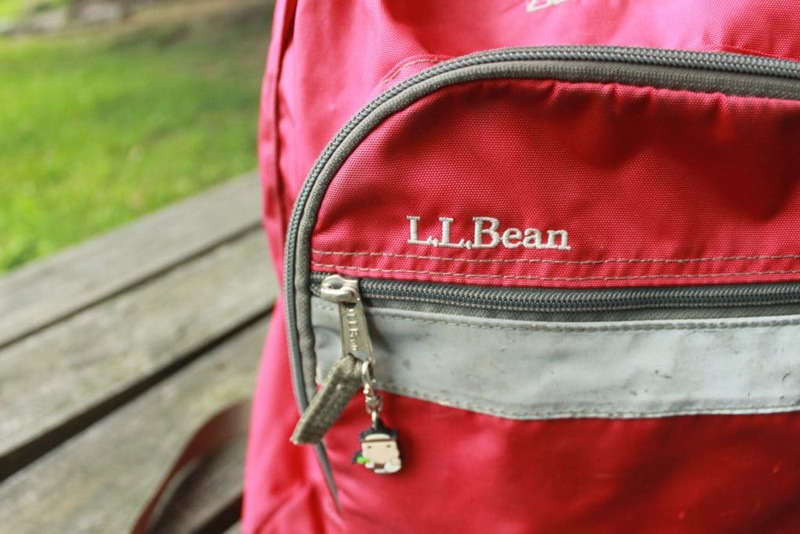 A close second favorite of mine is LL Bean. 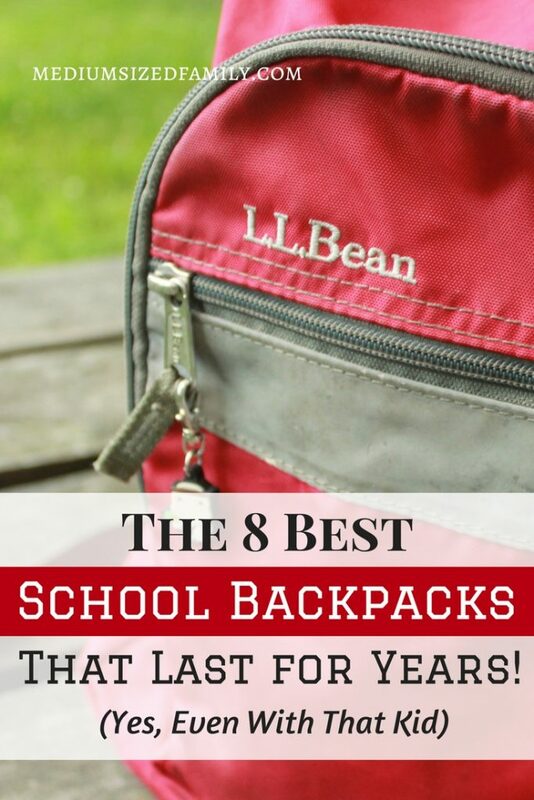 Based on my unscientific survey, more Moms recommended LL Bean backpacks than any other brand. We have 2 of these bags ourselves, and I have been more than impressed by their quality! My oldest got his bag when he was in 2nd grade. So did my second oldest. They’ve had the bags for 7 and 6 years now, and they show no signs of wearing out soon. My second born is that boy who throws his bag and kicks it down the road. So when I say this is a quality product, I mean it! One side note… consider carefully if you want to embroider their name on the bag. It’s cute when they’re little, but they might be less inclined to carry a bag with their name on it when they’re in middle school. Sadly, LL Bean discontinued their lifetime warranty. But we have never needed it! So I still plan to buy these bags in the future. Buy direct from LL Bean here. I hadn’t heard of Dakine before, but a couple Mom friends raved about their quality. Amy called this bag “rock solid”. Another friend, Jessica, uses her Dakine bag to take to work. She loves that it has a built in cooler and even matches her scrubs! Other Moms were very happy with their Lands’ End backpacks. Buy direct from Lands’ End. Buy Lands End from Amazon. Buy Lands End from Ebay. 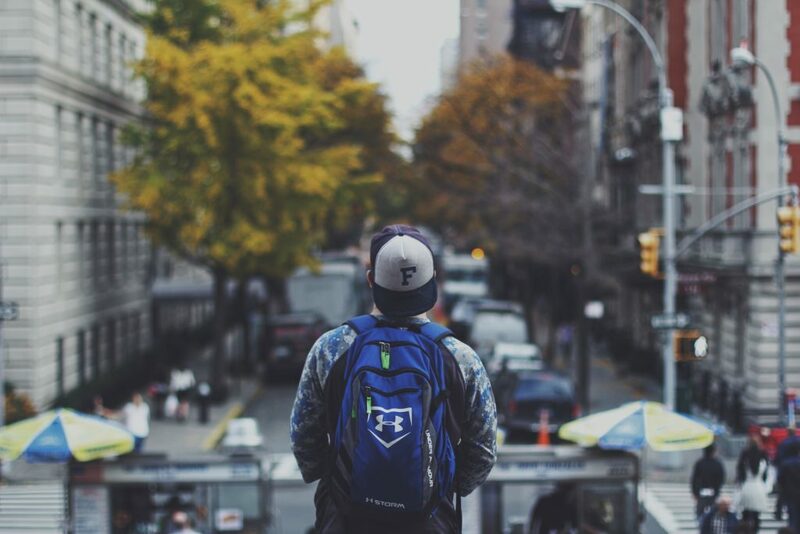 Shop Under Armour Backpacks at Kohls. Shop Under Armour at Amazon. Buy Under Armour from Ebay. Nike is another brand with a fantastic reputation for quality. Chrissy says, “Nike has never failed us. My daughters on her second year with it and still looks and has held up like new.” Litany agrees. Her boys have used their Nike bags for a couple of years already. I haven’t tried Samsonite myself, but Mom friend Elia calls them “super durable”. I thought Samsonite would be out of my price range, but sales make these bags super affordable. If you like durability with a side of fashion, Kavu might be your bag of choice. They’ve got tons of design options, so you’re sure to find something your student will love! 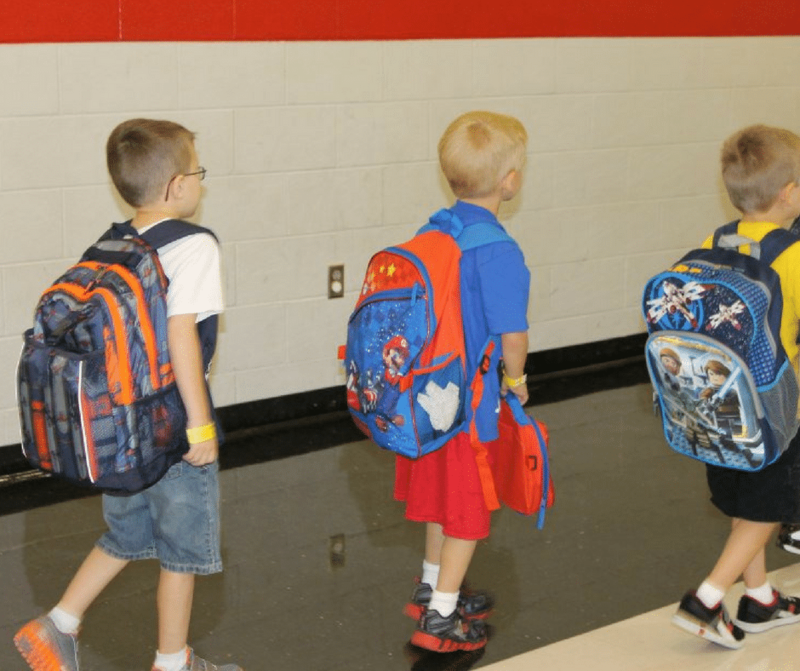 One of these durable backpacks will be perfect for your student. You’ll thank yourself for the next couple of years (or decades) when you can cross backpack off your back to school shopping list! 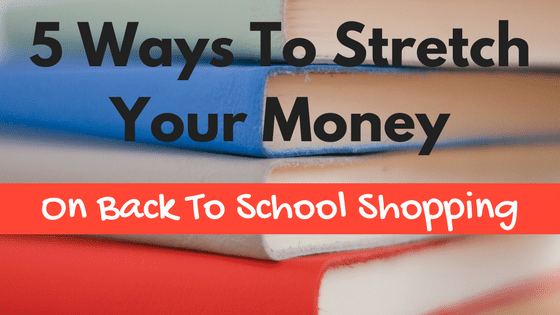 Next up, get my top tips for saving big cash on back to school shopping. Which of these durable backpacks do you recommend? Which would you like to try? 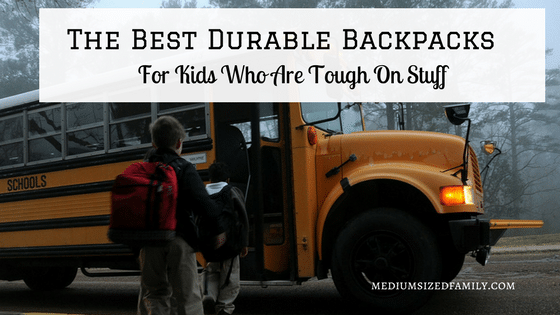 Choose from one of these Mom approved most durable backpacks for your student. Buy once and save year after year! These bags hold up to the toughest kids. It’s so funny you did this post now because I have been thinking about doing a positive blog post about Jansport. We bought a backpack to use as a diaper bag with child #3 or 4 because the first diaper bag had worn out. We used it and used it for close to 10 years when the fabric near the zipper started to give. We contacted them, shipped it back, and they replaced with with a brand new one (which I am loving right now). I had an Eastpak backpack (which is now owned by Jansport) in college. The fabric was fraying. We just sent it in last week, so we are waiting to see what they do with it. Thanks for the post because it gave me an opportunity to throw my support in for a company that stands by their product. I love companies like that. North Face. Jon shipped them his 30 year old bag. They sent it back with a repaired zipper. I would also advise caution when putting a little person’s name on a backpack. We were told for security reasons not to put our kids names in visible places on what they wear or carry with them. A would be trouble causing person suddenly knows their name, making the less of a stranger and your child an easier target. We label the underside of the shoulder straps or high on the back of the bag – where it will sit against the child’s back. Even when we travel, we put information in places that the child knows but that aren’t readily visible for the same reason. We are on the hunt for durable backpacks partly due to the lack of space in the other options. Our older kids need good strong bags to get those books back and forth! Thanks for this post! I have bought all of our kids pottery barn kids backpacks which I have always bought on sale from the website. They have had them around 3 years now and still look almost new. They are strong and rugged. Did I mention I have all boys? These bags will hold up to boys and as you say kicking them down the road. One of them was even passed down it’s got to be about 5 years old and has been used by three boys so far. These bags are the best. I agree with you on the name issue. I don’t put their names on their backpacks either. I read one time that it was a safety issue. You don’t strangers to be able to read a kids name right off their backpack. My boys had Jansport backpacks. When one had a problem, we shipped it to them and when they sent it back, they put a note in that they had repaired another thing that they thought was about to go. The boys had them through college and we have had them repaired more than once.